[[United]], in partnership with FedEx, will begin offering door-to-door baggage shipping, with prices starting at $149 per bag. The service includes guaranteed next-day arrival and online package tracking. This program is convenient for a few reasons. First, obviously, you avoid the hassle of hauling your bags through the airport, and you also eliminate the possibility that your luggage will be lost or damaged in transit. According to the Wall Street Journal, United’s baggage shipping service appears to be a good deal as well, at least relative to other providers. To ship a 50-pound bag between Santa Monica and New York City, the Journal reports United would charge $179, while competing companies would charge well over $300. Between Madison, Wisconsin, and St. Louis, the prices for a 50-pound bag are more even. Clearly you’ll have to compare options, but it looks like United’s rates are at least on par with its competitors. 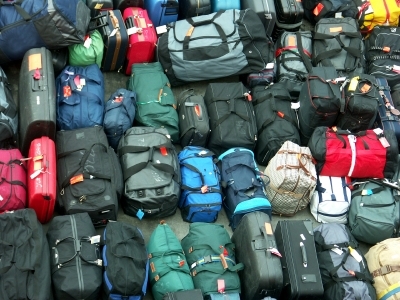 Of course, at $149 or more per bag, most folks will have to say “thanks, but no thanks,” and take their chances with good old-fashioned baggage checking (and United’s $15 fee). But for those who can afford it, United’s baggage shipping program could take a huge bite out of the stress of flying.